T.I. 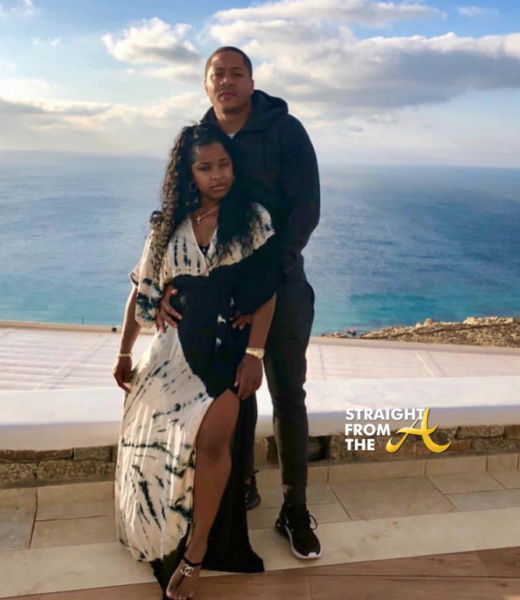 & Tiny’s Friends & Family Hustle created quite a buzz this week as fans were teased about Toya Wright possibly traveling to Greece to marry her child’s father, Robert “Red” Rushing. 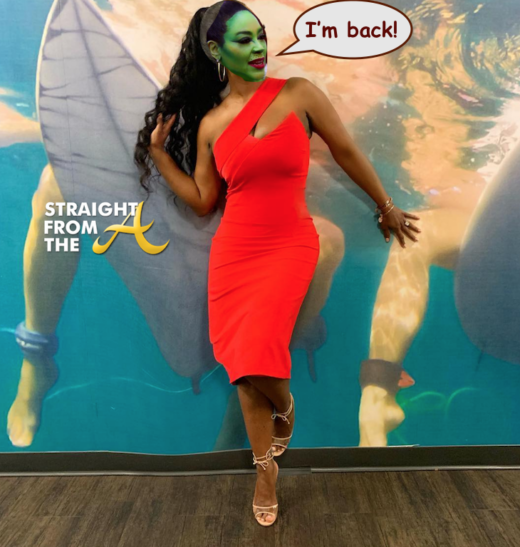 Episode 10 of the popular reality show is titled, ‘New Chapter’ and could it be that Toya has begun a new journey with her 3rd husband? T.I. 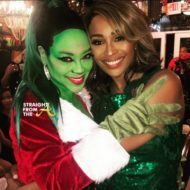 leaves for Africa while Tiny gets ready for her So So Def concert; Monica brings Shannon into the studio for his thoughts on her new single; Toya is getting ready to publish her new children’s book. 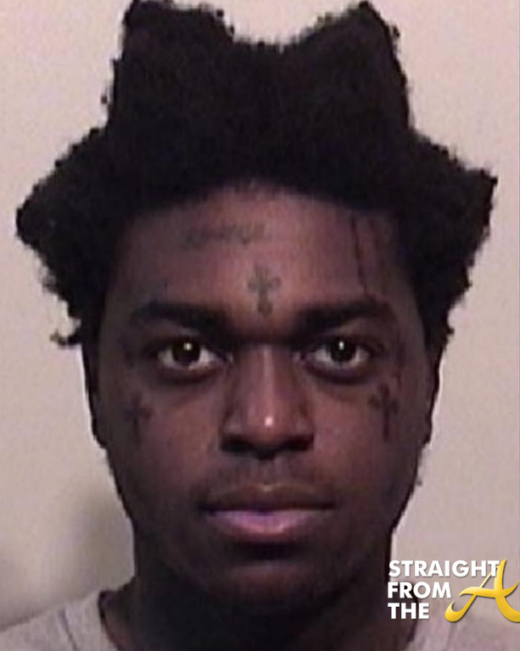 Did Toya go through with it? Is she really a married woman again? 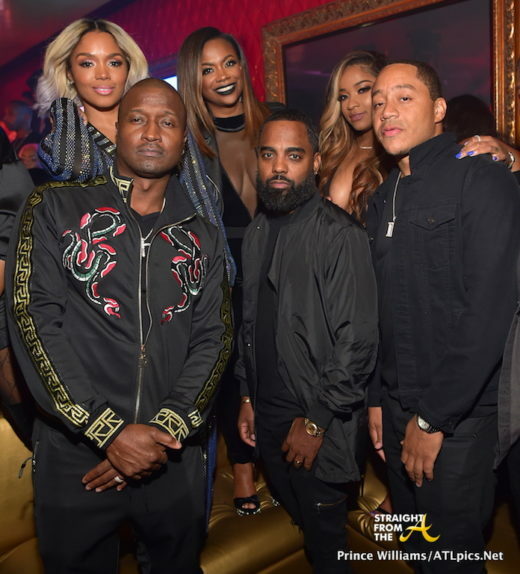 It was ‘date night’ as several of Atlanta hottest couples attended Toya Wright and Atlanta party promoter Mr. Ruggs’ ‘All Black affair’ this past weekend. 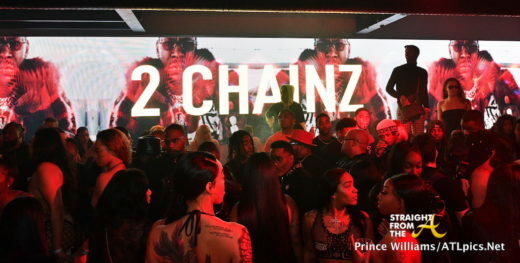 The annual event, which was held at Compound nightclub in Atlanta drew out lots of your favorite celebs. Attendees included Future, Kandi Burruss and Todd Tucker, Rasheda and Kirk Frost, Jadakiss, and more. T.I. 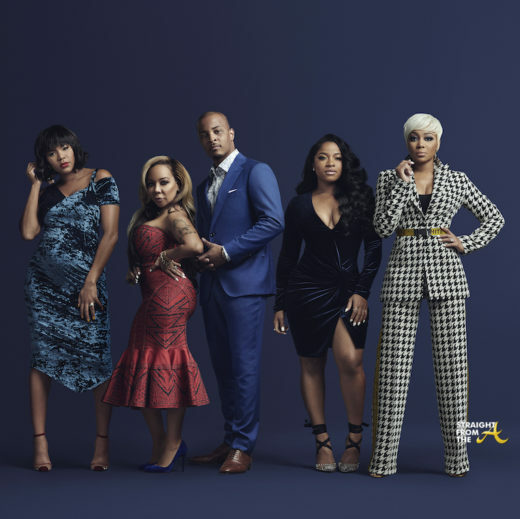 and Tiny return to television screens this week with an expanded cast that includes several of their close friends and family members. The couple returns with “T.I. 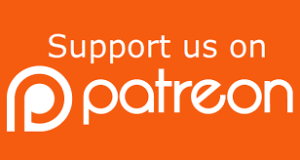 & Tiny: Friends & Family Hustle,” which will showcase everything from complicated marriages and young love, to health scares and past baggage, to Tip and Tiny working to keep their family together. 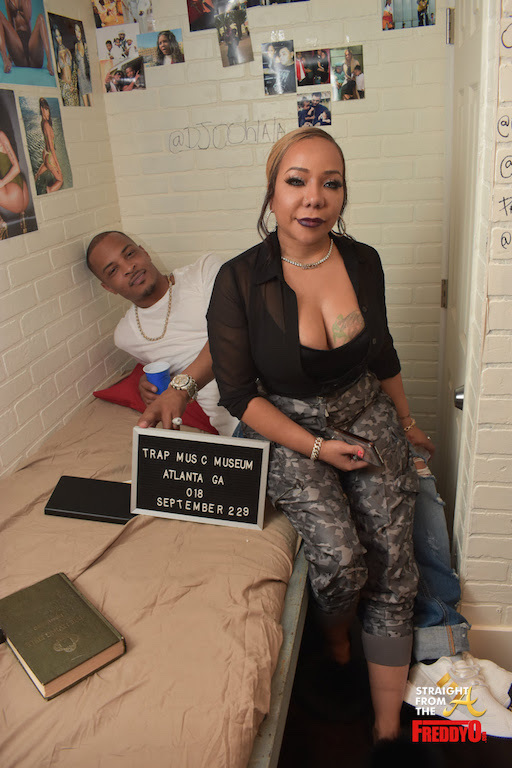 Clifford “T.I.” Harris and his wife Tameka “Tiny” Cottle took a moment to reflect in a replica of the prison cell where the rapper served time. 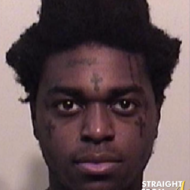 The exhibit was just one of the moments in time captured this past weekend as the Grammy award-winning recording artist unveiled his latest venture, The Trap Music Museum. 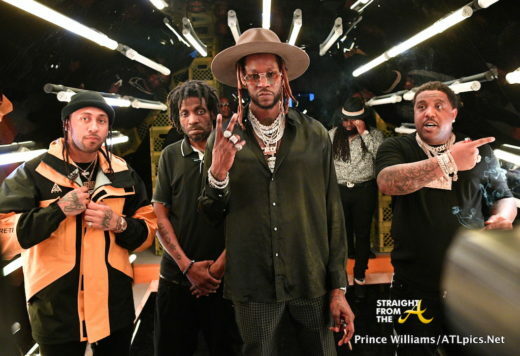 Curated by Antwanette McLaughlin and The Spice Group, The Trap Music Museum highlights trap artists such as T.I., 21 Savage, Rick Ross, Future, Gucci Mane, Shawty Lo & more. Several of Atlanta’s who’s who previewed the exhibit during an intimate gathering this past weekend including Usher, Monica, Rocko Da Don, Killer Mike, Tiny Harris, LeToya Luckett, Reginae Carter, platinum-selling producer Zaytoven & many more. 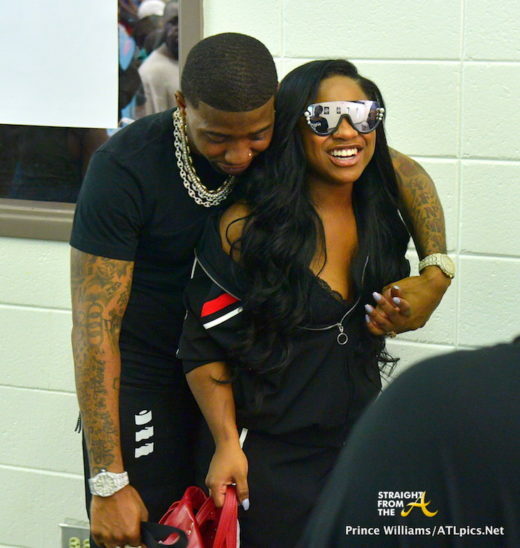 Hip-Hop couple YFN Lucci and Reginae Carter are giving back to Atlanta in a major way for the upcoming school year. Yesterday (Aug 22) the lovebirds hit up Atlanta’s Grant Park Recreation Center, where they played host a back to school ‘field day’. 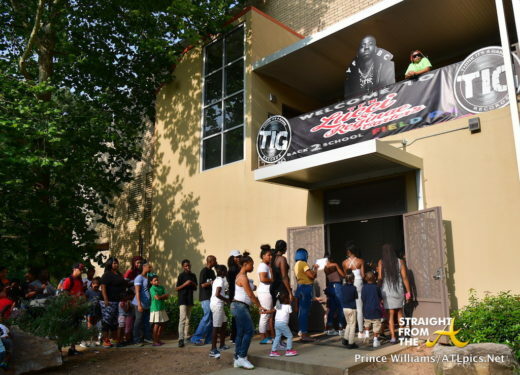 Reginae and Lucci gave away hundreds of book bags and school supplies as well as offered the kids a fun event filled with recreational activities such as face painting, relay races and more.